The Autumn Winter ’19 London Runway Collection explores industrious northern British towns in the 1970’s. A time when living for the weekend was truly a way of life. For our London Runway Collection, we have drawn inspiration from Northern Soul, an iconic subculture made cool by the rare imported soul 45’s and the British youth that gave their all when dancing to them. Every weekend “night-owls” would be drawn to Northern Soul clubs to dance til daylight. A passionate exploit fueled by their deep love of the distinctive signature two-step dance moves and uplifting soundtrack curated by devoted record collectors. 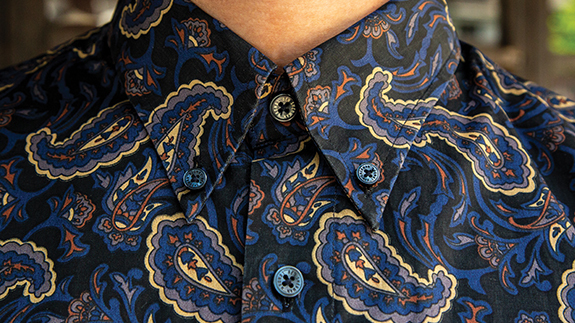 Northern Soul has a special place at the heart of Ben Sherman. We were both a part of the cultural fabric of the North of England back in the 1960s and share many of our roots in the British mod scene. In this exclusive collection we reinterpret the parquet floor patterns through an autumnal colour palette with modern yarns. We celebrate the night owls through retro badges and patches. 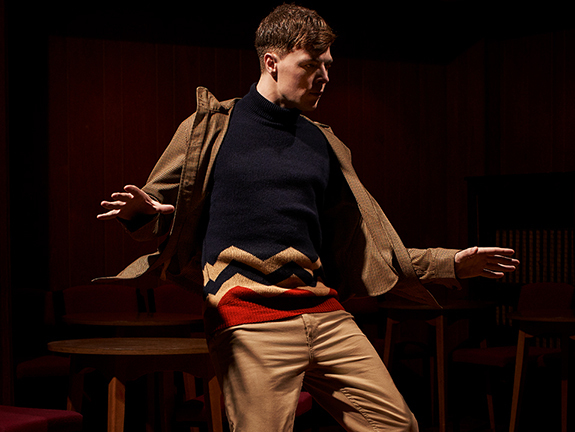 In keeping with the classic mod DNA, the collection has a playful tone with motifs that cleverly illustrate the double meanings of the revered scene such as a striking pictorial owl knitted sweater.